The German sociologist Max Weber was noted for his interest in how the geopolitical position of states affected their domestic politics. Revolutions, civil wars and coups d’état often came ‘from the outside in’, as changes in the international arena weakened central authorities and exposed dominant élites to challenges from below. In contrast, much of the recent literature on the Irish Civil War stresses the primacy of internal factors—the existence of rival traditions within Sinn Féin, de Valera’s rejection of the Treaty or the militarist traditions of the IRA. The shock of civil war forced many to revise assumptions about the character of Irish nationalism, and some concurred with the title of an RTÉ documentary that the Civil War was an expression of ‘the madness within’. 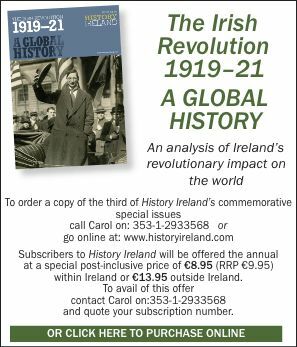 Yet the Irish Civil War clearly occurred as part of a general wave of state formation in inter-war Europe, which saw intense fighting break out immediately after independence in Finland, the three Baltic states and Hungary (if not Czechoslovakia). Since drawing a line between domestic and international politics in any of these cases is impossible, any study of the Irish case also has to relate the ‘madness within’ to what Joe Lee called ‘the madness without’. The Anglo-Irish Treaty of 1921 established the Irish Free State as a dominion of the British Empire. Its constitutional status was to be analogous to that of Canada, and a Boundary Commission would establish the exact border separating northern from southern Ireland, if the northern parliament ‘opted out’ of the Free State. To pro-Treatyites, it was an honourable compromise, dictated by military necessity, but one that could serve as ‘a stepping stone’ to full independence. To anti-Treatyites, it was a sell-out, one that achieved neither unity nor independence, and which tied the new state as closely to the British Empire as the Act of Union had done in 1801. Given the broken promises of the past, why trust in Britain’s capacity to deal with Ireland in a generous way in the future? Others argued that the agreement was an international treaty, and that dominion status was a guarantee of good treatment in itself. In 1966 Professor T. D. Williams wrote that the experience of a nationalist movement falling out over a treaty with a departing colonial power was not unique to Ireland. Yet the typical pattern of decolonisation in the twentieth century had been for independence to proceed peacefully in two stages—a treaty of association followed by full independence. The Irish were the only ones to fight a civil war specifically over that formula. This had much to do with the international background to the Treaty split. By 1918 European politics had been radicalised by the Great War, by the democratisation of the suffrage that followed from it, and by the promise of self-determination for small nations made by the Allies during the war. In January 1919 Sinn Féin convened an elected parliament in Dublin, declared a 32-county republic, and appealed for a hearing at Versailles. Its case for recognition was intended for the American audience, and assumed that Ireland was (like the Czechs or the Poles) an ‘ancient’ European nation, whose status could only be confirmed by international recognition. Yet its assumption that Irish self-determination necessitated leaving the Empire was not shared by the Irish diaspora, and Irish American opinion soon became split on the issue of ‘the isolated Republic’. Realists pointed out that the principle of self-determination was intended to apply only to the territory of the defeated empires, not to that of the United Kingdom. Majorities in the north-east of Ireland had voted for Unionist MPs in 1918, and the electorate returned the Conservative Party with a large majority to Westminster. In the absence of Irish MPs, both combined to partition Ireland in 1920, bringing into question the wisdom of Sinn Féin’s abstentionist policy. Lloyd George had been under little pressure to hear the Irish case at Versailles, and moved towards negotiation only in 1921. By that time he knew that the Americans would support an offer of dominion status for Ireland and that world opinion would support him in this proposal. As the unity of Sinn Féin floundered on the rocks of this new imperial partnership, arguments for and against the Treaty reflected the geopolitical dimension. 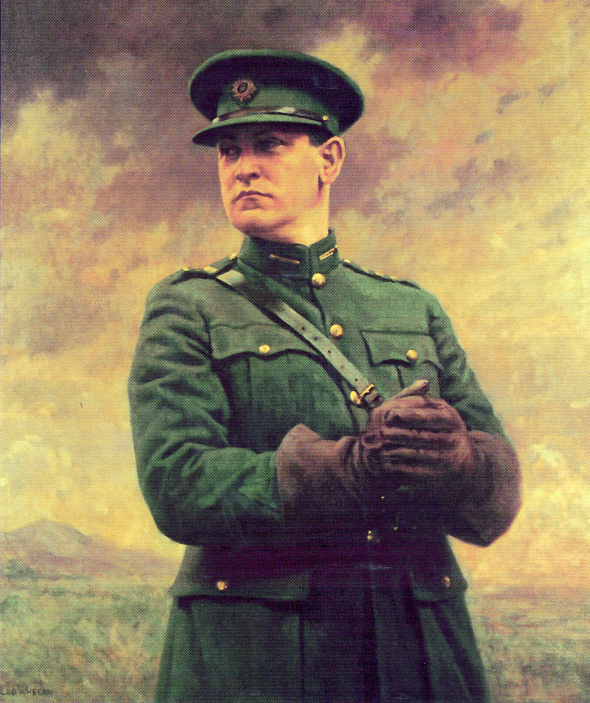 Michael Collins is remembered primarily as a realist. In international relations theory, realists assume that self-interest and force determine relations between states. As a result, no international order is ever fixed, and the linchpin of Collins’s case for the Treaty was his view that it provided ‘the freedom to achieve freedom’. In contrast, de Valera’s inflexibility on the Treaty has been ascribed to his intellectualism, but it reflected the same idealism that supposedly inspired Woodrow Wilson’s vision of a new world order. Collins had grasped the real nature of that order in 1921, while de Valera’s preference for a republic ‘externally associated’ with the Empire became practicable only after 1945. The UCC professor Alfred O’Rahilly described de Valera’s formula as ‘ingenious, but premature’. This comment points to why a treaty of association created a deep split within Ireland, but not elsewhere. In 1921 the British Empire was very much a going concern, whereas after 1945 anti-colonial nationalists could accept free association first, secure in the knowledge that history was on course to full independence. After the Dáil had voted in favour of the Treaty, and once the IRA occupied the Four Courts on 13 April, it is often assumed that the divide was too wide to bridge peacefully. De Valera had played a crucial role in keeping moderates and militants united before 1921, but his opposition to the Treaty now deepened the divide. 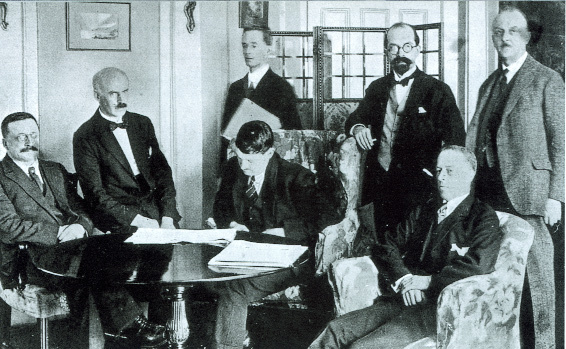 In April 1922 an IRB peace initiative led to the formation of a Dáil peace committee to discuss maintaining unity in the coming election, but after eleven meetings the committee could not produce a joint report. The pro-Treaty delegates wanted it to acknowledge that the majority of the people were in favour of the Treaty, while the anti-Treaty delegates wanted it understood that nothing was being decided in the election. Despite standing on a common platform in the ‘pact election’ on 16 June, this basic difference of outlook resurfaced afterwards. Pro-Treatyites thought that the election gave them a mandate to implement the Treaty. Their opponents thought the mandate was for coalition government and peace. The issue of democracy had proven ‘irrepressible’. The outbreak of civil war on 28 June could thus be seen as the product of a process of ideological polarisation over the issue of majority rule. In the interests of maintaining unity, Sinn Féin had fudged its constitutional differences in 1917, and the absence of a normal political life, with properly contested elections and a free press, meant that the differences were suppressed until peaceful conditions returned. The fact that both press and pulpit advocated accepting the Treaty in 1922, and that 40 per cent of the electorate voted for third parties in the June election, undermined the electoral monopoly that Sinn Féin had achieved in 1918. Tom Garvin uses the title 1922: The birth of Irish democracy to capture this dynamic. 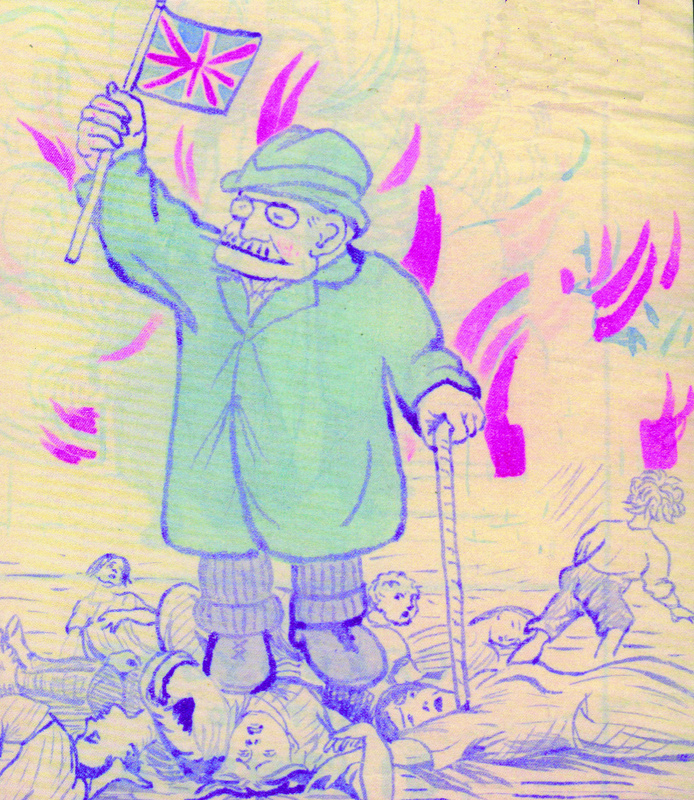 The response of the anti-Treaty IRA—through threatening to prevent the election from taking place, for example—suggested that they had a vested interest in preventing a return to normal conditions. A key precondition for civil war is often the polarisation into two coherent groups of what was in Sinn Féin’s case a rather loose and faction-ridden movement. Yet this condition was not realised in Ireland before June 1922, and British pressure ensured that it ultimately was. The Second Dáil continued to assemble until June and would meet to dissolve itself on 30 June. Sinn Féin had committed itself to establishing a coalition government on 1 July and never formally renounced the terms of the Collins/de Valera electoral pact. The anti-Treaty IRA itself was divided between the Four Courts men and the larger southern divisions of the IRA, who retained their belief in the coalition idea up to the election. Since May negotiations had been going on between both these groups and the Ministry of Defence, and their fate was inextricably linked to the coalition plan. In the background was the worsening situation in Northern Ireland, and both sides of the IRA had agreed to a secret offensive across the border in May. Two attempts by Collins to get Sir James Craig to reform the Northern Ireland government had already failed, and it was a northern delegation that finally convinced Collins to agree to the electoral pact with de Valera on 20 May. Collins was the pivotal figure. Since his justification of the Treaty had been based on an acknowledgement of force majeure, his commitment to the ‘majority rule’ principle was equivocal. His constitution committee had met seventeen times since January, and drafts B and C would specifically allow for anti-Treaty ministers in a coalition government. When the two sides met in conference on 25 May, however, Churchill insisted that all Irish ministers had to sign acceptance of the Treaty, as was prescribed by article 17. Earlier that month Churchill had warned Collins that ‘everyone of us will swing round with any scrap of influence we can command against a republic or any inroad upon the Treaty structure’. Yet rather than vetoing the pact, the British government insisted that the new constitution conform to the Treaty, and the final draft symbolised its authority in an emphatic manner. The text finally chosen, based on draft A, prescribed a British-style cabinet bound by the rule of collective ministerial responsibility. This meant that anti-Treaty ministers could not agree on internal policy while disagreeing on foreign relations, as was envisaged in draft C. Since the fate of the pact was inextricably linked to that of the constitution, there was no way the two sides could form a coalition government. 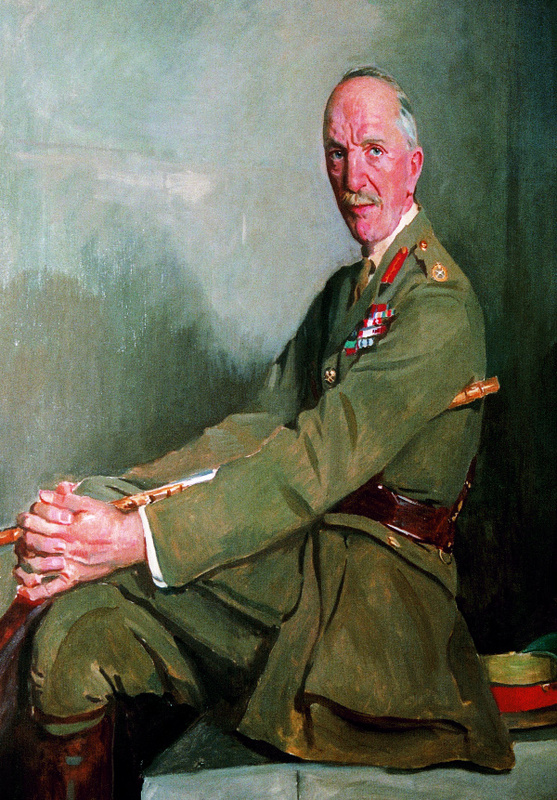 The trigger for civil war was the assassination of Field Marshal Sir Henry Wilson on 22 June and Lloyd George’s subsequent demand that the occupation of the Four Courts no longer be tolerated. 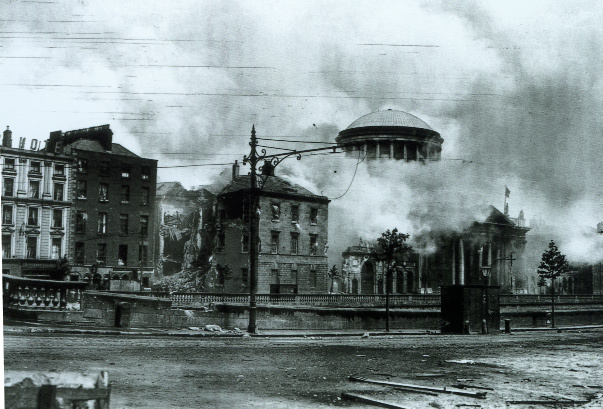 Arguments over what prompted the shelling of the Four Courts on 28 June would continue for decades to come. Kevin O’Higgins believed that civil war was inevitable because the ‘mutineers’ were about to carry out ‘a coup d’état’ that would plunge the country back into a power struggle with Britain. On 14 June the IRA executive had resolved to take ‘whatever action may be necessary to maintain the Republic against British aggression’. The anti-Treatyites, in contrast, saw British pressure as the decisive variable: one document cited a speech made by L. Worthington Evans, secretary of state for war and a Treaty signatory, on 29 June, in which he stated that the British government had told the provisional government that they had to govern or simply go. If the pact had been adhered to, and if the provisional government had stood up to Britain over the constitution, republicans believed that civil war could have been avoided. In 1936 de Valera published an article in The Catholic Bulletin claiming that it was actually his opponents who had carried out ‘an executive coup d’état’ in June 1922. 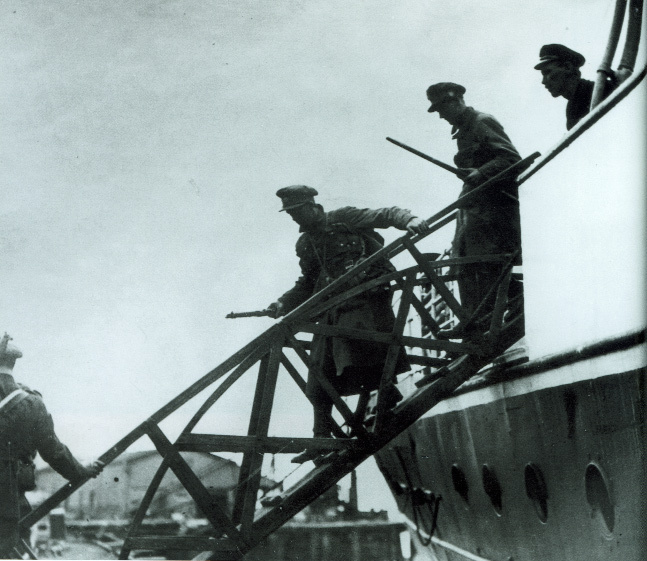 Once the battle for Dublin had resulted in a clear-cut victory for the Free State army, the uncertain course of developments before July gave way to a much more decisive pattern. The fall of the Four Courts, the IRA’s retreat to the countryside and their failure to defend ‘the Munster Republic’ in conventional hostilities have been attributed to the strategic superiority of the Free State leadership. The naval landings at Cork and Kerry are good examples, but the key variable was the inequality of power resources between the two sides. All irregular civil wars are characterised by ‘asymmetry’, in that the insurgents employ ‘the weapons of the weak’ against an army they cannot defeat conventionally. This asymmetry was especially pronounced in Ireland, however. The massive supply of arms provided by the British government, and the ability of the provisional government (supported by the banks) to finance an army of over 50,000 men, meant that an IRA military victory was possible only in the early stages of the war. But the IRA chief-of-staff, Liam Lynch, was still contemplating negotiations up to the middle of July, and many IRA men simply went home rather than fight a civil war. Insurgencies not buoyed up by early military successes often fade away. Peter Hart has suggested that in Cork the number of IRA men had dwindled to one tenth of their pre-Treaty strength by October 1922. Given the precedent established in 1916, the scale of resistance to the Free State was unimpressive. The one realistic war aim of the IRA was to force the capitulation of the provisional government, but behind that lay the question of how to deal with the Ulster unionists and the British Army. On 11 February 1923, a demoralised Frank Barrett from Clare wrote to Lynch, asking how they were going to defeat England if they could not unite with the national army. On the other hand, by resorting to guerilla tactics in the autumn, the IRA had returned to what they knew best, and tested the nerve of a provisional government that had lost its best military leader in Collins on 22 August. British intelligence reports predicted that W. T. Cosgrave, the new chairman of the provisional government, would not be able to see the fighting through to the end, but a chief paradox of the war would be that civilians like Cosgrave would prove more adept at fighting than the military men. This paradox can be explained with reference to the advantage of incumbency in conflict situations. With a nascent state apparatus at its disposal, the provisional government showed a clearer sense of purpose than the IRA, and consistently refused to compromise on issues touching on the authority of the state, such as entering into negotiations without prior IRA decommissioning. The IRA’s retreat to the countryside had allowed the provisional government to project itself as the ‘protector’ of society, while the newspapers were required to refer to the IRA as ‘bands’ or ‘bodies’. Any new state that bases its authority primarily on its ‘protective’ role will inevitably strengthen the position of the dominant social groups, and the army quickly became involved in suppressing the labour and agrarian unrest spreading through the countryside in 1922–3. Guerilla tactics also gave credence to the Catholic Church’s proclamation, read out at all Masses on 22 October, that killing national soldiers was ‘murder in the eyes of God’. Anti-Treaty Catholics failed to get the Vatican to reverse its policy of excommunicating IRA men, and the IRA executive also tried unsuccessfully to import pieces of artillery from Germany in the spring of 1923, which Lynch hoped would turn the course of the war. IRA columns could hold out in the mountainous terrain of the south-west, but had to weigh the benefits of further resistance against the government’s execution policy. In 1933 Frank Aiken recalled that the fact that the government had already selected additional IRA prisoners to be executed, given the slightest pretext, played a major role in forcing his side to call a ceasefire on 30 April. Yet de Valera’s attempt to turn military defeat into political victory through negotiations in May 1923 proved unsuccessful. After Collins’s death the government had rejected initiatives aimed at restoring the unity of the IRA. Indirect negotiations failed because the government was unwilling to exchange the abolition of the oath for IRA decommissioning. In 1933 Aiken recalled that when de Valera’s decommissioning proposals were sent to IRA units and prisoners, not a single protest was made to the IRA executive, which had unanimously backed its terms. On 24 May, however, Kevin O’Higgins wrote to Cosgrave emphasising that ‘the present government has no intention of jeopardising the important benefits of the Treaty position, which makes the taking of the oath a condition precedent to taking a seat in the Oireachtas’. After ten months of civil war, the Treaty settlement was more secure than it would have been under almost any other outcome to the split. Cosgrave and his colleagues had absorbed one aspect of the realist case for the Treaty—recognition of external constraints—while putting the ‘stepping stone’ approach on hold. The abolition of the Dáil courts, the abandonment of Griffith’s protectionist economic policies and the Boundary Commission fiasco all suggested a successor regime that would protect vital British interests. Yet as the international crisis deepened in the 1920s, and as the Commonwealth itself moved towards greater equality in 1931, the realist case for the Treaty would be vindicated. After 1932 de Valera whittled away at the settlement, using a rationale articulated by Collins a decade earlier. His opponents would never forgive him for this. Yet in 1922 de Valera had articulated a position on the Treaty consistent with the philosophy of Sinn Féin and with prevailing international norms. The Civil War had come from the ‘outside in’, and, despite the Irish obsession with personalities, there is no evidence that he or Collins could have stopped it, short of abandoning their basic positions on the Treaty. Most remarkably of all, the British government would soon lose interest in Ireland, leaving a troubled legacy for which it felt little responsibility. In 1922 Churchill and his colleagues had ensured that the process of ideological polarisation would reach its logical conclusion in civil war. They had deemed a coalition government unacceptable, created the conditions that made that government impossible, and then succeeded in obliterating memory of their own role in the process. This obliteration was helped by the fact that none of the drafts produced by the 1922 constitutional committee have ever been published. Bill Kissane lectures in politics at the London School of Economics. J. Coakley, ‘Political succession and regime change in new states in inter-war Europe: Ireland, Finland, Czechoslovakia, and the Baltic Republics’, European Journal of Political Research 14 (1987). T. Garvin, 1922: The birth of Irish democracy (Dublin, 1996). B. Kissane, The politics of the Irish Civil War (Oxford, 2005).